Student’s will research an animal, complete a writing assignment, and describe how humans have interacted with the animals. Upon completion of the assignment student’s will view Madagascar I, Madagascar II, and Madagascar III and answer questions Student’s read a brief outline of Madagascar and answer 10 questions. Students then complete some zoological questions regarding different animal species. For more World Geography Lesson Plans Click Here. Madagascar Reading Students read an outline of the country of Madagascar and answer 10 questions. Students then complete some zoological questions prior to watching the film. Madgascar Activity I Teacher Answers for the above activity. Note that this packet also contains additional activities. Madagascar Activity II Peace Park Reading: Peace Park Reading Activity. Animal Research Project: Assignment outline and grading rubric. 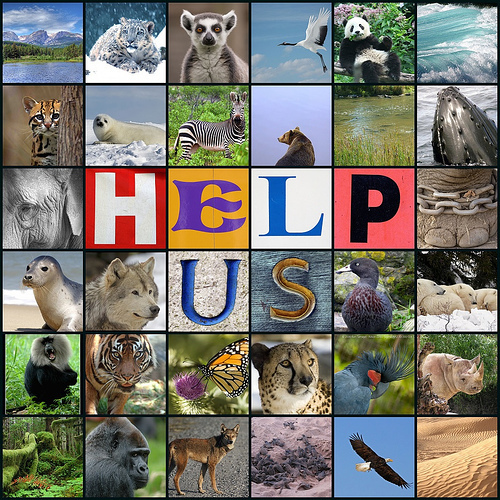 Links have been provided below for the animals to research. *Wikipedia is a good source for basic information. The links at the bottom of the page often contain additional websites that are helpful in research. *You may also use National Geographic Animal Search Feature. World Geography SOL Review Worksheets: Powerpoint, worksheets, handouts, and review materials for reviewing World Geography. Premium Lesson Plan World Geography 1st Nine Weeks Review :Study guide with questions related to material taught in the first 9 weeks. Premium Lesson Plan: Asia World Geography Review: Study Guide/Review Worksheet that covers South Asia, East Asia, and Southeast Asia. Includes student questions and six maps. Premium Lesson Plan: Sub-Sahara World Geography Review: Study Guide/Review Worksheet for Sub-Sahara Africa. Includes student questions and a physical map. Premium Lesson Plan: Europe World Geography Review: Study Guide/Review Worksheet for Europe. Includes student questions and political and physical maps. Premium Lesson Plan: Russian and Central Asia World Geography Review: Study Guide/Review Worksheet for Russia and Central Asia. Includes physical map. Premium Lesson Plan: Central and South America Study Guide/Review worksheet for Central and South America. Includes student questions and a combined physical and political map. Premium Lesson Plan: World Religions Review: Study Guide/Review worksheet that covers the major world religions with a focus on Christianity, Islam, and Judaism. Includes student questions and three images. No maps are included. World Geography Study Guide Human Geography: Review of Human Geography. World Geography Third Nine Weeks Review: Study guide with questions related to material taught in the third 9 weeks. Trivia questions for students to use with their Review Packet. World Geography Trivia Questions Part 1 : Part one of review questions. 30 questions. World Geography Trivia Questions Part 2 :Part two of review questions. 30 questions. World Geography Trivia Questions Part 3 :Part three of review questions. 30 questions. World Geography Trivia Questions Answers :Answers for the above trivia questions. Packets that include review materials. World Geography SOL Review Packet:Study materials that include essential knowledge, maps, and questions. World Geography SOL Review Packet Key: Key to the above review packet. World Geography SOL Word Bank Review : Review packet that includes questions from all the World Geography SOLs. For each set of questions, students are given a word bank to select answers from. Includes Answers. WG SOL Parent Review Pages: Generic SOL Review Packet that includes all essential knowledge. World Religions Handout : Handout that discusses major world religions. Types of Govt handout :Handout that discusses major world government types and economies. Major areas of Conflict handout :Handout that discusses major areas of conflict in the world. Cultural Geography Review: Powerpoint that shows pictures of different cultural features. Includes answers. Linked to my dropbox account. 1. Where is the “Rust Belt”? 2. In America, we call the region of Northern Africa and SW Asia “The Middle East.” What is another name for it? 3. Where is the “Wheat Belt”? 4. What is a goal of the European Union? 5. What is the “Francophone World”? 6. Name three countries in the Francophone World other than France. 7. Why are regions important? Watch the video and respond to the question in the comments below. Why do you think it is important to learn geography?